If you've been on the hunt for the perfect lip & cheek stain, look no further. Benefit Cosmetics as come up with Cha Cha Tint; an exquisite lip and cheek stain perfect for a summer glow! 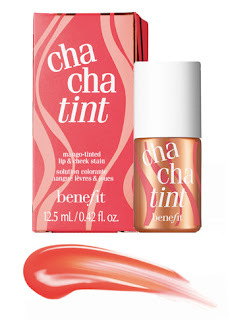 I received a sample of Cha Cha Tint when I ordered a sea of makeup from Benefit at the beginning of the summer. I was a little hesitant to try it at first because I normally don't wear color on my lips. But one day, I had a change of heart and I decided to be adventurous and give it a try. To my surprise, I loved the color of this tint! It's the perfect shade of coral-mango and looks great with a casual or dolled up look. Not only do I love the color of this tint, but also its versatility as a lip OR cheek stain. The color is perfect for either use and it's a spot on shade for your every day makeup routine or summer date nights! Don't be sticker shocked by the $29 price tag. This tint is WELL worth the price and the bottle lasts forever - a little amount goes a long way! 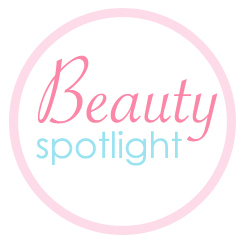 Need suggestions for beauty products? Leave a comment below and I'll suggest the perfect one!